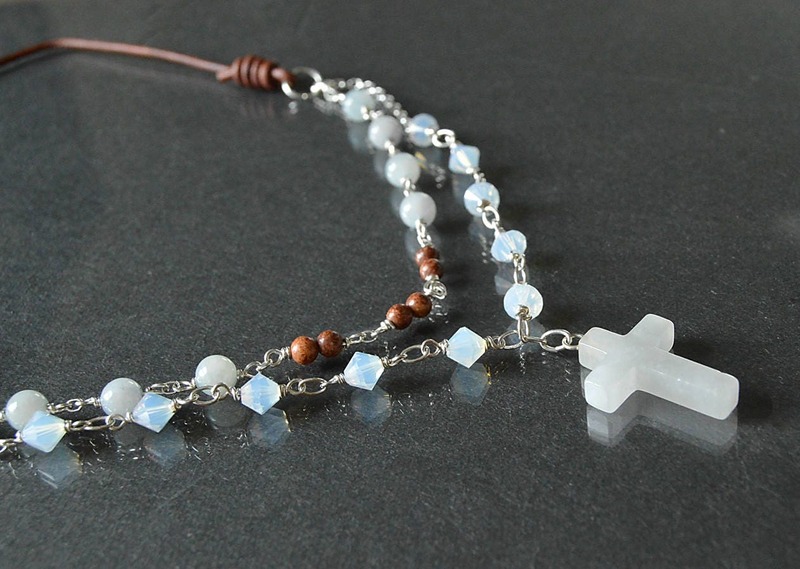 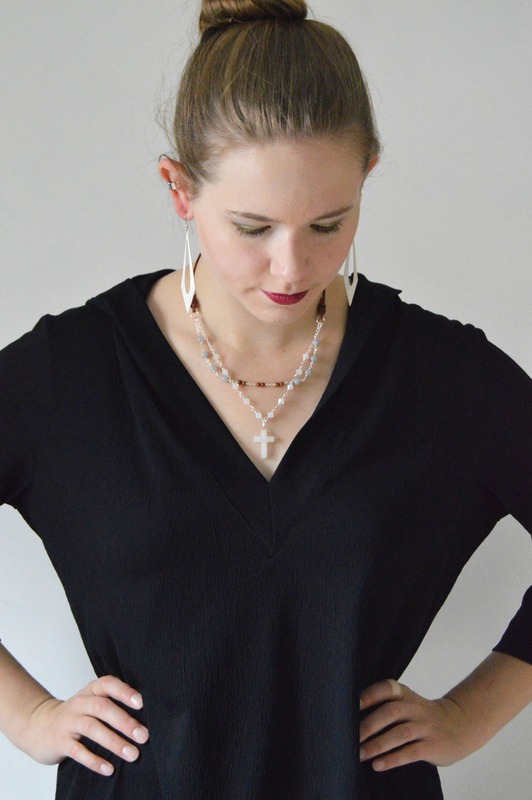 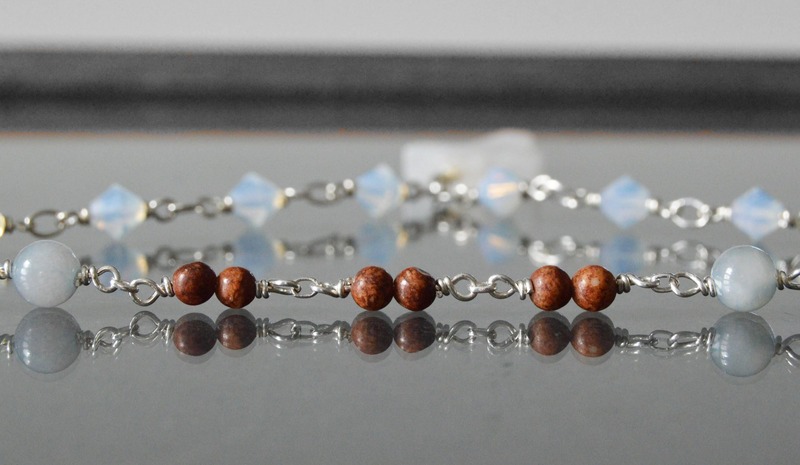 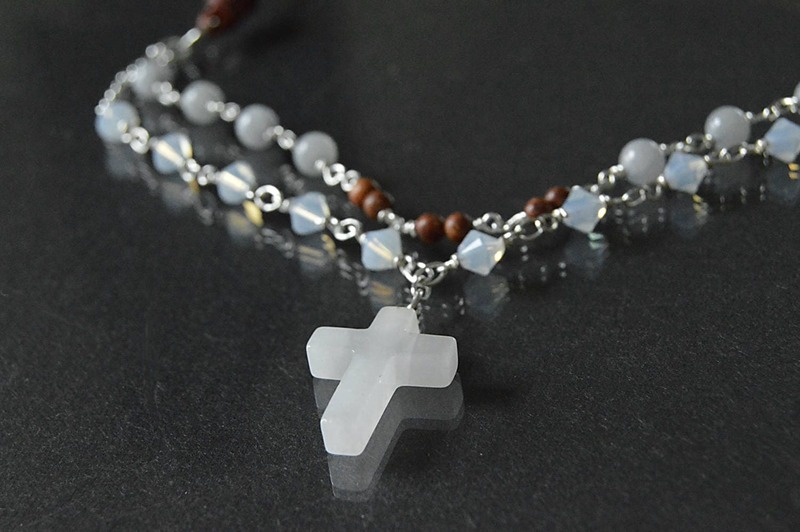 White stone cross necklace in soothing tones of white, soft blue and a hint of natural brown stone. 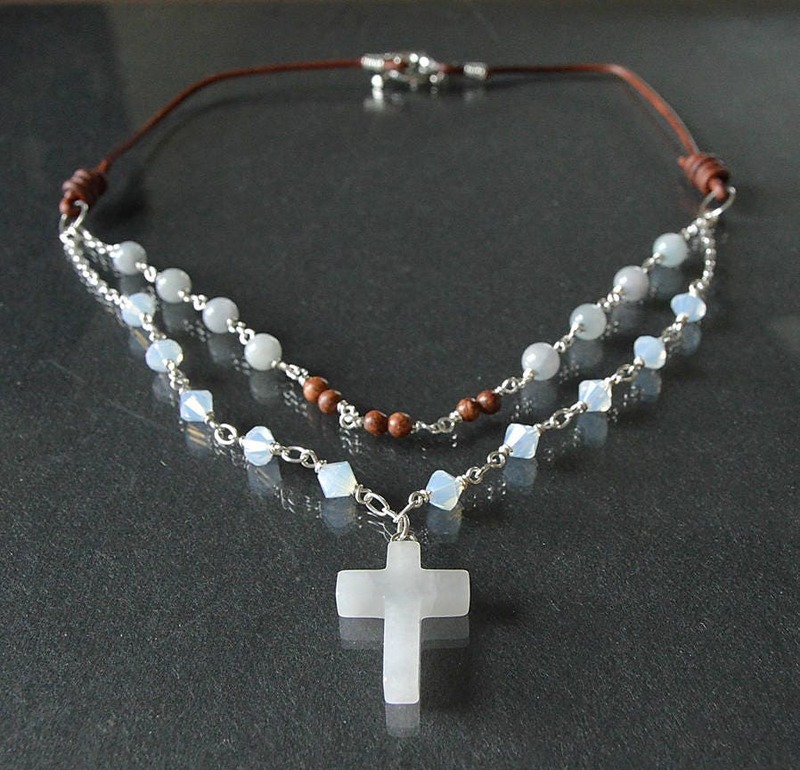 A double strand necklace with an antiqued silver plate Tierra Cast® toggle clasp, featuring white opal Swarovski crytal beads and blue grey colored jade wire wrapped with sterling silver. 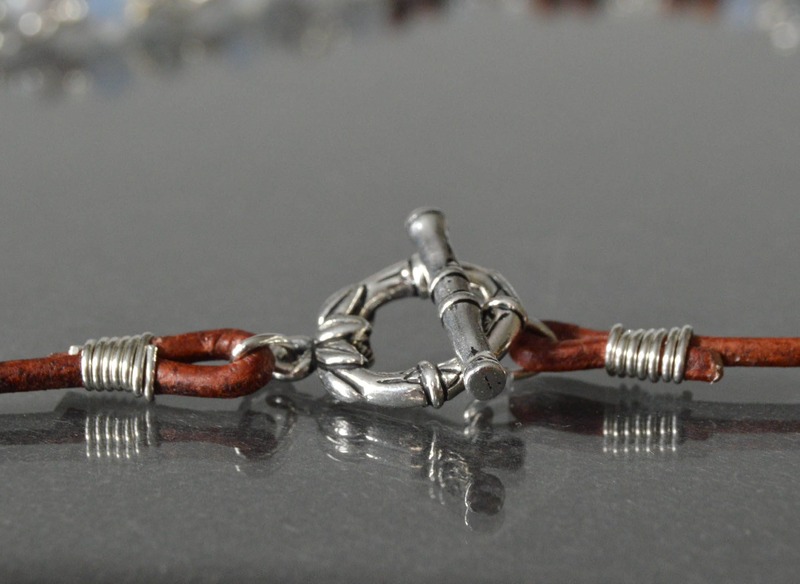 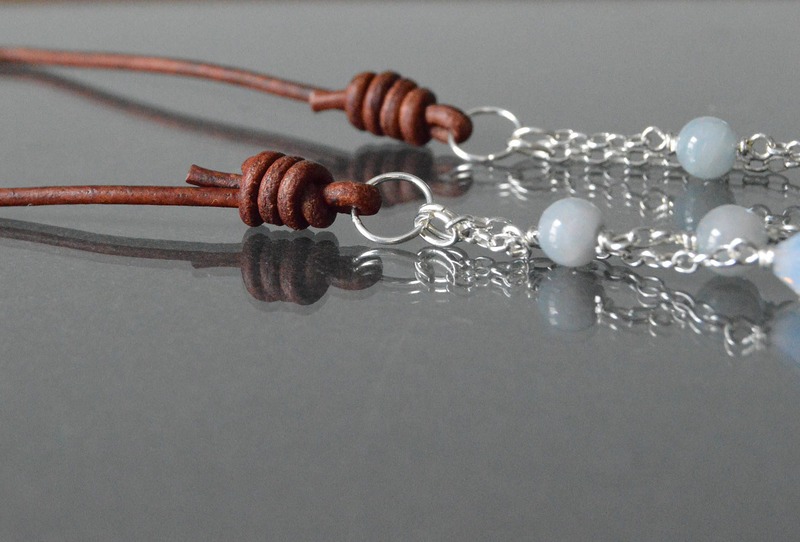 A soft leather brown leather cord attached with sterling silver rings.